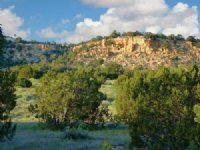 Woodland Valley Ranch is a sprawling 35,000 acre wilderness sanctuary located in the cool highlands of the White Mountain area of east central Arizona. 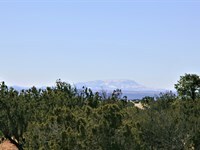 The White Mountains are an impressive wilderness mountain range in this scenic region of Arizona. 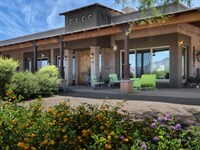 The area has been a prime vacation/weekend retreat choice of Arizonans for decades. Its cool summers, mild winters, stunning natural landscapes and crystal clear air are a refreshing departure from the smog, heat, and congestion of the city. 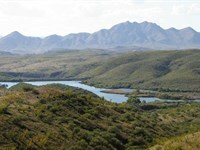 The area's huge forest expanses (mostly protected Federal and State) abound with fish and game. Charming country towns, numerous lakes, streams, and historic sites round out the attractions. But privacy, seclusion, freedom of land ownership and laid back lifestyle are still the main reasons that people have responded to our large 37 acre wilderness ranches there. 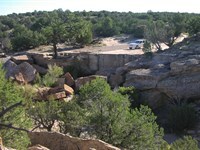 Situated in this prime vacation land is Woodland Valley Ranch. 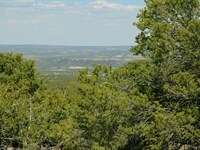 Deedable 37 acre tracts set amid the ranch's spectacular scenery are now available. Whether your acreage is predominantly meadow, dense stands of evergreens, blends of trees and meadows, or rugged ridgelines with magnificent rock and boulder formations, each property is different than the other. Each has its own unique palette of vivid colors, its own particular character and its own enchanting view. 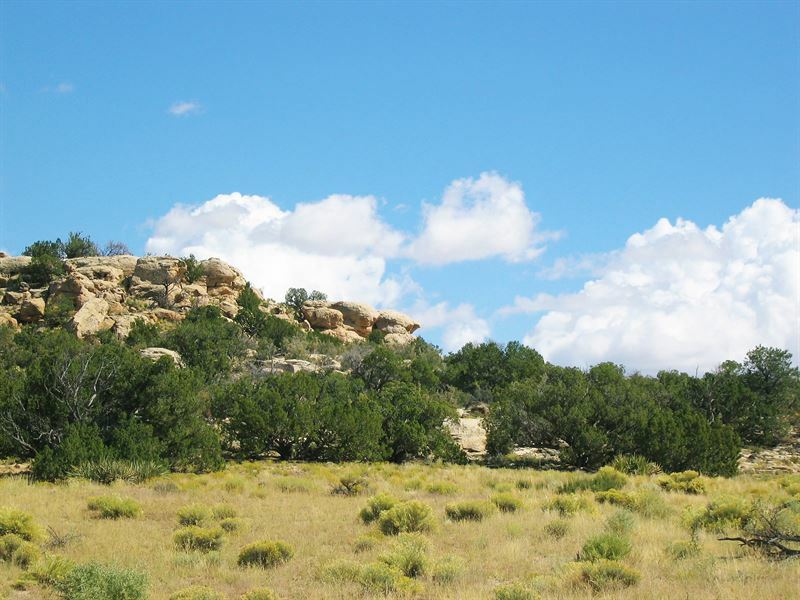 Woodland Valley Ranch's stunning landscapes, mild climate, sandy loam soil and access to Northern Arizona's largest groundwater basin (the Coconino Aquifer) make it the ideal property for a year-round homesite or as your family vacation cabin site retreat. 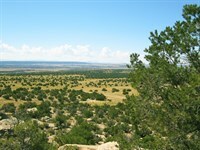 Many Woodland Valley Ranch parcels border State or Federal Trust lands. 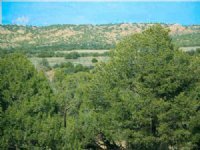 These expansive 640 acre tracts with their beautiful woodlands and meadows provide a quiet and scenic backdrop for neighboring ranch owners. 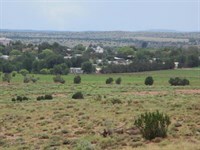 While Woodland Valley Ranch is secluded and private, nearby is the County seat of St. Johns, AZ, a charming country town with shopping churches, hardware stores, auto services, restaurants and medical facilities. This pioneer town founded in 1874 stays close to its roots with many country festivals along with an annual rodeo and spectacular 4th of July celebration. Prices start at $22,500. 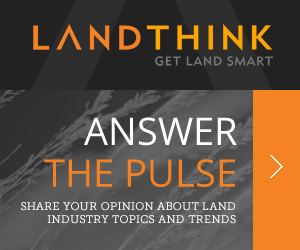 No qualifying seller provided financing is available on properties with as little as 10% down. 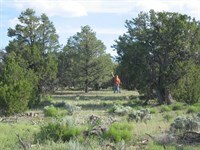 Monthly payments begin at $217 for a full 37 acres of prime northern Arizona ranchland. There are no closing costs or prepayment penalties and all loans are assumable. Woodland Valley Ranch properties are title insured through First American Title Company which acts as the ranch Trustee and account servicing agent. Your investment in Woodland Valley Ranch can not only fulfill today's dream to possess your own high country ranch, it can also be a richly rewarding legacy to the future generation of your family. For your children, your grandchildren and beyond, there can be no greater gift than land. No matter how big, crowded and noisy our cities become, at Woodland Valley Ranch you and your family will own a place of serenity and beauty forever. Please call First United Realty to schedule an appointment to walk the properties in Woodland Valley Ranch. 1. 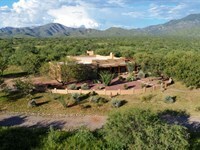 When calling broker, please say, "I found your listing Arizona's Best Wilderness Ranch on RANCHFLIP."